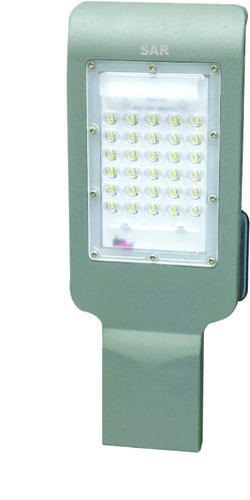 Incorporated in the year 2012, at New Delhi (India) and having expertise and experience of 30 years in the field of Electronics, We, "Sar Engineering Corporation" are listed as the most renowned Manufacturers, Importers, Exporters, Wholesalers and Supplier of a comprehensive assortment of LED Street Light, LED Flood Light, LED Tube Light, Led Panel Light, LED Driver, LED High Bay Lights, LED 2*2 Ceiling Panel Lights, LED Bulbs, Surface Mount Lights, COB Lights and many more Products. The offered products are manufactured by highly trained workers in our Organization in state-of-the-Art Manufacturing Unit using the supreme quality raw material and sophisticated technology in conformity with the defined industry standards. Our offered products are highly acknowledged for their diverse attributes such as supreme quality, durability, smooth finish, low maintenance and compact design. Clients can avail the offered products from us at the most reasonable prices. We have client base all over INDIA.